Thomas Yee from Newfoundland and Labrador, Canada, has won First Prizes in over 20 national and international competitions. Most recently, Dr. Yee earned an unprecedented distinction from his alma mater, Memorial University of Newfoundland: he was presented with the Horizon Award for Lifetime Achievement under the age of 35 for extraordinary professional, volunteer, and academic achievement. In 2016, Dr. Yee won the Lorin Hollander Prize (Professional Concerto Category) under the auspices of the American Prize. Highlights of his career include winning top prizes at the Josef Hofmann International Piano Competition where he was also awarded a special prize for the best performance of the imposed piece, Ludmilla Kneskova International Piano Competition where he also won a special prize for best etude, Le Tremplin International (International Stepping Stone) where he also won a special prize for best contemporary work, Canadian Federation of Music Teachers Association Schubert Recital Competition, Concours de Musique du Canada, Young Artists Concert Tour Series Competition, and the Eastman-Hamamatsu Piano Competition among others. 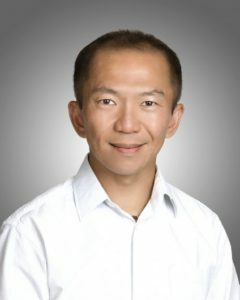 Dr. Yee earned his Bachelor of Music degree from Memorial University of Newfoundland where he studied with Maureen Volk and received the University Medal for Academic Excellence. He received his Master of Music degree from the University of Colorado at Boulder where he studied with Angela Cheng and Alvin Chow. He earned his Doctor of Musical Arts degree in Piano Performance and Literature from the Eastman School of Music where he studied with and was teaching assistant of Nelita True. He has also studied at the Guildhall School of Music and Drama in London and Peabody Conservatory of Johns Hopkins University in Baltimore. Dr. Yee is Professor of Music and Associate Music Department Chair at the University of Hawaii at Manoa. He has also served on the faculty at the State University of New York at Buffalo. As a chamber musician he is a member of a faculty trio, Trio Xia, with flutist Dr. Frederick Lau and cellist Dr. I-Bei Lin. Trio Xia has completed two concert tours of Taiwan and one in Japan. He is also a member of Trio Benetri, with violinist Lynn Kuo and cellist Rafael Hoekman. As a respected teacher, his students have won top prizes in international, national, state, and regional competitions, including five winners of the Honolulu Symphony Concerto Competition and two winners of From The Top’s Jack Kent Cooke Foundation Young Artist Award. An avid runner, Dr. Yee has completed 30 full marathons.